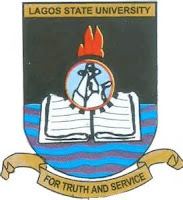 Lagos State University, LASU admission screening (1st round) application form for the 2016/2017 academic session is now on sale. LASU admission cut-off mark is 190. Authority of the Lagos State University (LASU) invites applications from suitably qualified candidates for the 2016/2017 academic session admission screening exercise. These screening exercises are mandatory requirements for entry into Lagos State University. There shall be two rounds of Admission Screening Exercise. Candidates who have Lagos State University as their Choice of institution in the 2016 Unified Tertiary Matriculation Examinations (UTME), and have scored a minimum of 190 marks are eligible to participate in the Admission Screening Exercises. In addition, candidates must be at least 16 years of age. ALL Direct Entry candidates who wish to be considered for admission into Lagos State University for the 2016/2017 academic session, who must have obtained Direct Entry Form from JAMB are also eligible and must apply for the screening exercise. However, these applicants are EXEMPTED from the Admission Screening. Online registration is compulsory for them. Candidates of Lagos State Origin, for 100 & 200 levels will be required (if admitted) to prove their claims before the Independent Indigeneship Verification Committee (lIVC) set up by the Lagos State University. Candidates should note that ONLY the accredited courses listed below are available for the 2016/2017 Academic Session. Therefore, only candidates that have chosen any of the available courses should apply. 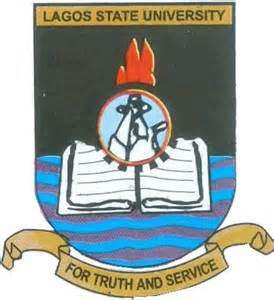 Must Check: LASU Available Degree Programmes. How to Apply for LASU Admission Screening and Other Details. 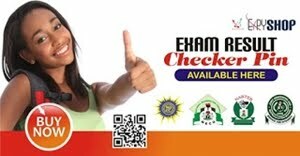 After successful payment for LASU 2016/2017 Admission screening exercise, return to screening.lasu.edu.ng and select CONTINUE REGISTRATION option in the drop down list at the top. 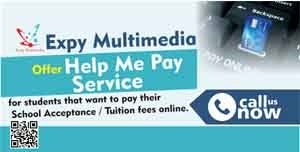 Prospective candidates should enter the required details (JAMB Registration number, surname and Mode of Entry – UME or DE). Click on PROCEED button to load the Registration Form. Candidates will be required to upload a scanned copy of their passport size photograph (File Size: Not more than 20KB; File format: JPEG [i.e. ‘jpg’]). Application for change of passport photograph by candidates given provisional admission shall NOT be allowed. This same passport photograph, uploaded by such candidates, will be used on their degree certificates. Carefully study the agreement form. If you agree to the stated terms, click on the ‘I agree’ button on the left-hand side of the page. Fill in all required details contained on the online registration form. Confirm THAT DETAILS ARE ACCURATE then click FINISH. To make changes, before you click finish, you may click on the Edit button. Candidates must possess five (5) O’ Level credits in subjects relevant to their desired course of study at not more than two sittings. Candidates awaiting the result of NABTEB, WAEC (May/June) and NECO (June/July) 2016, are eligible to apply. Note that any examination taken after July 2016 shall not be accepted. Make sure you print your Registration Form/Slip as this serves as your entry ticket into the screening hall. Candidate should know that both payment and registration would end two  weeks before the advertised date of the Screening Exercises. Candidate should visit www.screening.lasu.edu.ng a week before the advertised date of the Screening Tests to check the Sitting Arrangement and reprint the Registration Slip. Registration for the payment of application fee for the Admission Screening Exercise starts from Thursday, June 9, 2016 and registration closes Friday, June 24, 2016. Applicants for the LASU 2016/2017 Admission Screening Exercise should NOTE that the screening will be conducted using the newly developed “LASU-COMPUTER BASED TEST (CBT) SOFTWARE“. Applicants who DID NOT choose LASU as the University of Choice in the 2016/2017 UTME are not eligible. The detailed results of the screening shall be published on LASU website: www.lasu.edu.ng immediately after each day of screening.